Finance managers distribute the financial resources and look after the financial health of an organization. Their job involves budget planning, producing and reviewing financial reports, monitoring accounts and making financial forecasts. They also direct investment activities and develop strategies, in addition to supporting the executive management team by providing financial advice and insights to enable them take critical business decisions like business expansion, mergers and acquisition. They also plan for the long-term financial goals for the company. As a crucial member of the finance team, Finance Managers report to management and stakeholders, and provide advice on how the company and future business decisions might be impacted. They collect, interpret and review financial information as well as produce financial reports related to budgets, account payable, account receivables, expenses etc. They are responsible to develop long-term business plans based on these reports and develop strategies to minimise financial risk. The role also involves analysing market trends and competitors to predict future financial trends, identify business opportunity, and improve profitability. Looking for a Business Analyst job? Click here! Write a summary, 2-4 lines in the beginning of your profile, which includes your title and years of experience. 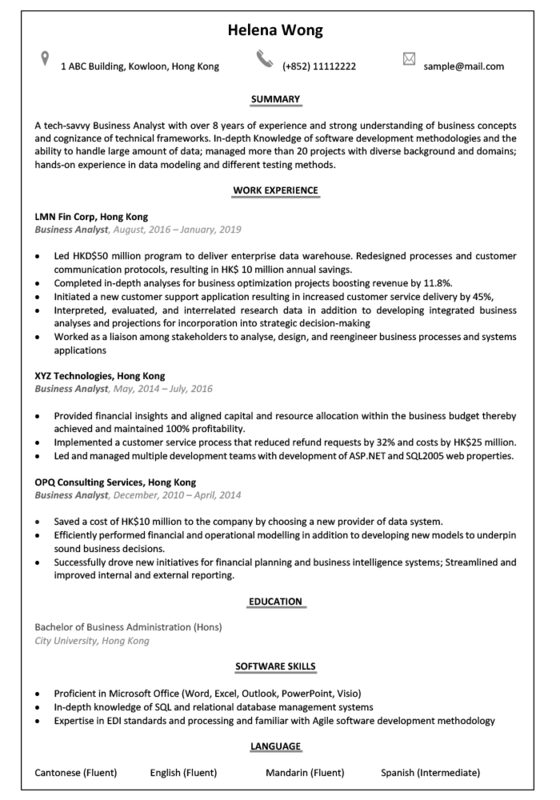 Describe one or two numeric key achievements and skills that match with the job description. A detail-oriented Finance Manager with over 10 years of experience and extensive understanding of market trends in addition to in-depth knowledge of statutory legislation and regulations; Possess high numeracy, strong communication, analytical and presentation skills. Reduced cost by 45% and increased ROI by 50%. It is important that your CV fits in 2 pages and the most relevant achievements are on the first page, to get the attention of hiring manager. 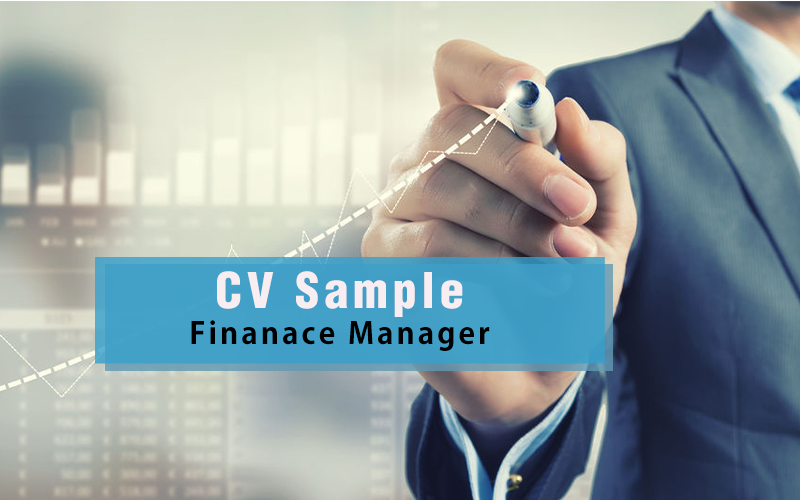 Since, the role of Finance Manager requires several years of experience, restrain the desire to give too many details about your experience. Give more details about your current role, responsibilities and achievements in the recent years. Share few highlights and achievements from your earlier jobs. Focus on achievements which describe your critical thinking, in addition to how well you have managed funds to maximize Return on Investments (ROI) and minimise financial risk to the company demonstrating the key skills you possess. Give details about insightful information that you provided to senior executives to help them in decision making. Express your achievements in numbers such as your contribution towards increased sales, improved efficiency, cost reduction, increased ROI, and managing & leading large teams etc. For example, monitored the company’s financial performance and identified areas for potential improvement resulting in cost reduction by 30%. Developed financial controls enabling revenue growth from HK$50 million to HKD$70 million per annum. Analysed financial activities and provided advice to senior management on financial plans enabling them to make key business decisions. Provided advice on investment opportunities and financial strategies to maintain sound financial health of the organization. Increased ROI by 50%. Monitored the company’s financial performance and identified areas for potential improvement resulting in cost reduction by 45%. Liaised with auditors as well as discussed and negotiated company’s financial plans with other departments and made decisions on measures to be taken in the future. Prepared and managed the budget; analysed costs, pricing, variable contributions, sales results, and the company’s actual performance in comparison to the business plans. Managed and led a team of 20 Financial Assistants and Accountants ensuring that all monthly and annual reports are produced accurately and timely. Designed a framework to meet deadlines. Established and maintained financial policies and procedures for the company; adhered to financial regulations and legislation. Monitored the day-to-day financial operations within the company including payroll, invoicing, and other transactions. 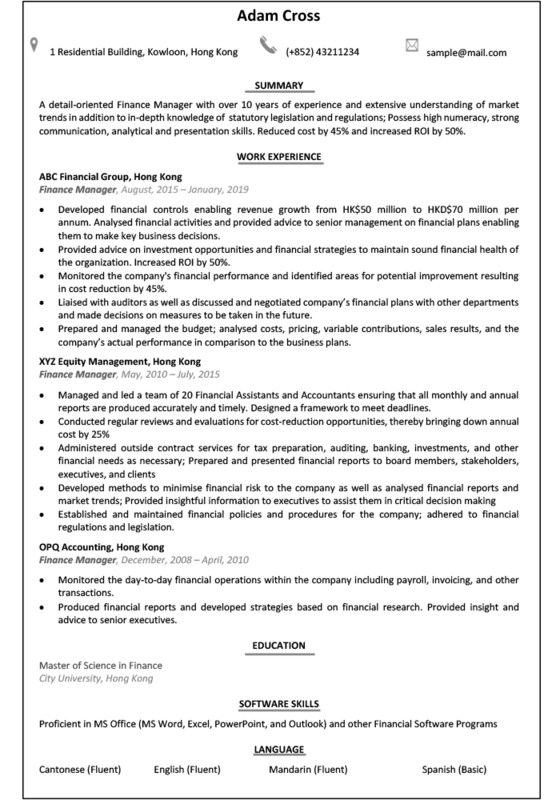 Produced financial reports and developed strategies based on financial research. Provided insight and advice to senior executives. Some of the core skills for this role are attention to detail, an investigative nature, problem solving skills, analytical approach, high numeracy and sound technical skills in addition to strong verbal and written communication skills, interpersonal skills, initiative and self-motivation. In addition to MS Office, include details if you have knowledge and experience in other Accounting and Finance software programs. List details of your education in this section. Most Finance Managers have a bachelor’s/master’s degree in business administration, finance, accounting, economics or statistics. Having a professional qualification such as CFA/CPA or similar will add value to your profile. Also give details of any awards and certifications you own. How to write a Resume Summary (Sample included)? 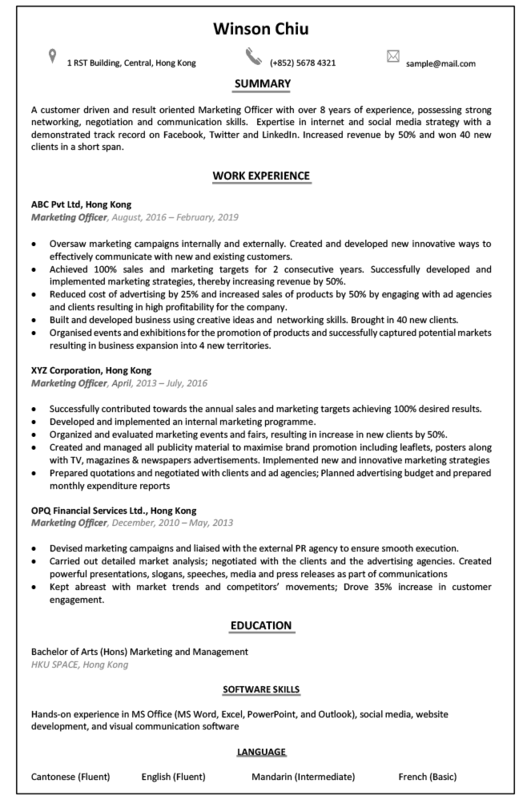 Posted in Guide to the Perfect Resume, Job Hunters by jobsDB editor on March 25, 2019 .